Information is an important asset. The more information you have at your command, the better you can adapt to the world around you. 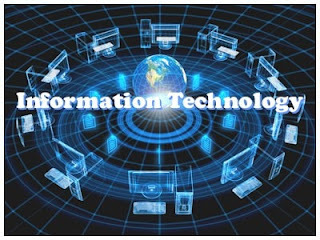 In business, information is often one of the most important assets a company possesses. Information differentiates companies and provides leverage that helps one company become more successful than another. Information can be classified into different categories, as described This is typically done in order to control access to the information in different ways, depending on its importance, its sensitivity, and its vulnerability to theft or misuse. Organizations typically choose to deploy more resources to control information that has higher sensitivity. The U.S.government, for example, uses a five-level classification system that progresses from Unclassified information (which everyone can see) to Top Secret information (to which only the most trusted people have access). Internet attackers might have stolen as many as 3.7 million credit card numbers from its website, housed offsite at an e-commerce service provider that lacked good security. This information quickly made the news, and as a result, Egghead’s corporate identity was more than just tarnished—it was destroyed. Customers fled in droves. The media coverage ruined the company’s reputation. Egghead’s stock price dropped dramatically, along with its sales. Cost-cutting measures, including layoffs, followed. The chain reaction finally concluded with Egghead’s bankruptcy and subsequent acquisition by Amazon.com.Were the consequences of inattention to security too extreme? You be the judge. But could those consequences have been avoided with good security practices? higher the mutual trust, the more access you can safely provide to external parties such as your customers, suppliers, business partners, vendors, consultants, employees, and contractors. In this global and increasingly digital age, the ability to provide this secure and trusted access is no longer a differentiator, but a business necessity. In the early days of networking, individual computers were connected together only in academic and government environments. Thus, at that time, the networking technologies that were developed were specific to academic and government environments. Originally, the academic security model was “wide open” and the government security model was “closed and locked.” There wasn’t much in between. The government was mainly concerned with blocking access to computers, restricting internal access to confidential data, and preventing interception of data (for example, by shielding equipment to prevent electromagnetic radiation from being intercepted). Today, every company wants to open up its business operations to its customers, suppliers, and business partners, in order to reach more people and facilitate the expansion of revenue opportunities. For example, manufacturers want to reach individual customers and increase sales through e-commerce websites. Websites require connections to back-end resources like inventory systems, customer databases, and material and resource planning (MRP) applications. Extranets need to allow partners and contractors to connect to development systems, source code, and product development resources. And SaaS applications deliver business process tools over the Internet to customers. Knowledge is power—in business, the more you know, the better you can adapt. Strong security provides insight into what is happening on the network and, consequently, in the enterprise. Weak security leaves many companies blind to the daily flow of information to and from their infrastructure. If a company’s competitors have better control of their information, they have an advantage. The protection of a company’s information facilitates new business opportunities, and business processes require fewer resources when managed efficiently and securely. Contemporary security technologies and practices make life easier, not harder. Security allows information to be used more effectively in advancing the goals of the organization because that organization can safely allow more outside groups of people to utilize the information when it is secure. Modern security practices do reduce some costs, such as those resulting from loss of data or equipment. Data loss due to mishandling, misuse, or mistakes can be expensive. A rampant virus outbreak, a website outage, or a denial of service (DoS) attack can result in service outages during which customers cannot make purchases and the company cannot transact business. Perhaps even worse, the service outage may attract unwelcome press coverage. The consequences of a security compromise can be significant. A publicized security incident can severely damage the credibility of a company, and thus its ability to acquire and retain customers. An increasing number of attacks are categorized as advanced persistent threats (APTs). These attacks are designed to deploy malware into a network and remain undetected until triggered for some malicious purpose. Often, the goal of the attacks is the theft of financial information or intellectual property. Loss of service or leakage of sensitive data can result in fines, increased fees, and an overall decrease in corporate reputation and stock price. Strong security reduces the loss of information and increases service availability and confidentiality. Portability means that software and data can be used on multiple platforms or can be transferred/transmitted within an organization, to a customer, or to a business partner. The “consumerization” of information has placed demands on companies to be able to provide meaningful and accurate information at a moment’s notice. 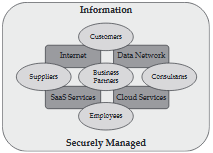 A survey of CIOs and CISOs in 2011 concluded that the single biggest driver of information security spending over the preceding three years was client requirement, meaning that customers want to buy products and services from companies that have good security, and will in fact sometimes require evidence of security practices before completing a purchase. To meet the demands of today’s businesses and consumers, architectures and networks need to be designed with security controls baked in as part of the development process. Clearly, this level of broad access to information resources requires a well-thought-out and properly deployed security program. With sound security built in from the ground up, portability of data as a key benefit can be realized. Portability also enables business and creates value. For example, Apple’s ability to both host music and allow personal music libraries to be synchronized to a tablet, mobile phone, and the MP3 player has greatly increased Apple’s bottom line. vulnerability risks the exploitation of that vulnerability. The best approach to security is to consider every asset in the context of its associated risk and its value, and also to consider the relationships among all assets and risks. The field of security is concerned with protecting assets in general. Information security is concerned with protecting information in all its forms, whether written, spoken, electronic, graphical, or using other methods of communication. 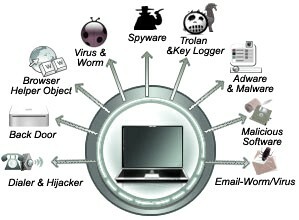 Network security is concerned with protecting data, hardware, and software on a computer network. The various branches of security are related to each other, to a greater or lesser extent, and this book’s techniques apply to all of them. The practices used in this book to approach security provide best results regardless of the branch or specialization—in other words, the basic concepts such as asset identification and valuation, threat definition and risk analysis, and processes and mechanisms to protect assets apply equally well. At its core, the practice of security is all about reducing risks to assets to acceptable levels by using a layered, comprehensive approach so that risk is still mitigated and controlled even when one control fails. If you’re trying to protect a network of computers, a focus only on the security of those computers leads to vulnerabilities and/or risks that attackers might exploit to bypass your protective mechanisms. It is important to consider network security in the context of its relationship to other security fields, as well as to the rest of the enterprise. Authority: the safety program should embody the correct level of responsibility and authorization to be effective. Framework: A security framework provides an invulnerable approach to assembling the program. Assessment: Assessing what has to be protected, why, and the way ends up in a technique for up the safety posture. Planning: designing produces priorities and timelines for security initiatives. Action: The actions of the safety team turn out the specified results supported the plans. Maintenance: the top stage of the elements of the safety program that have reached maturity is to take care of them.